Materials: Brass rod. 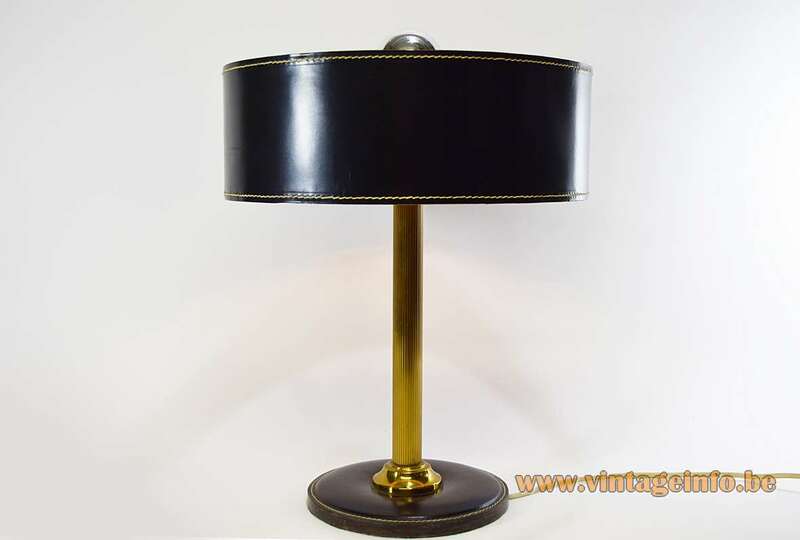 Black leather clad round base. 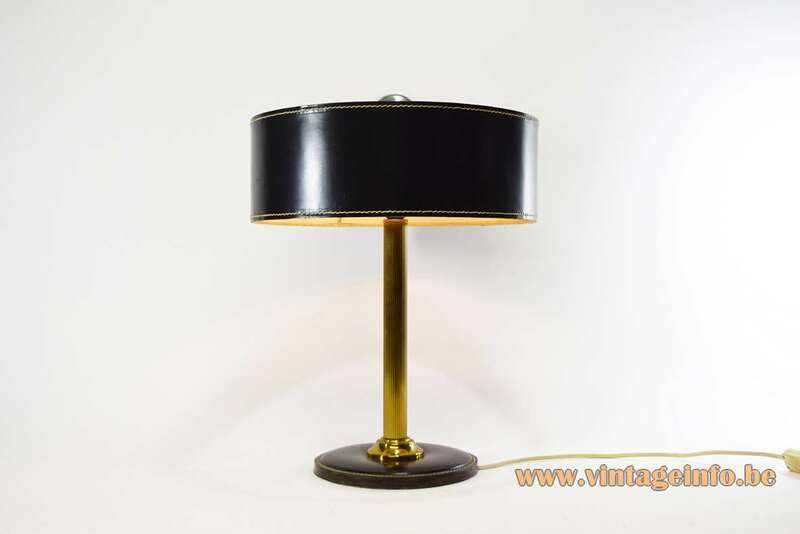 Black leather round lampshade, mushroom style, white leather inside. Bakelite socket. Any type of light bulb can be used. But a silver or gold cupped bulb is preferred. The light has to be down lighted. Other versions: Made in different colours and sizes and also made with a square base. 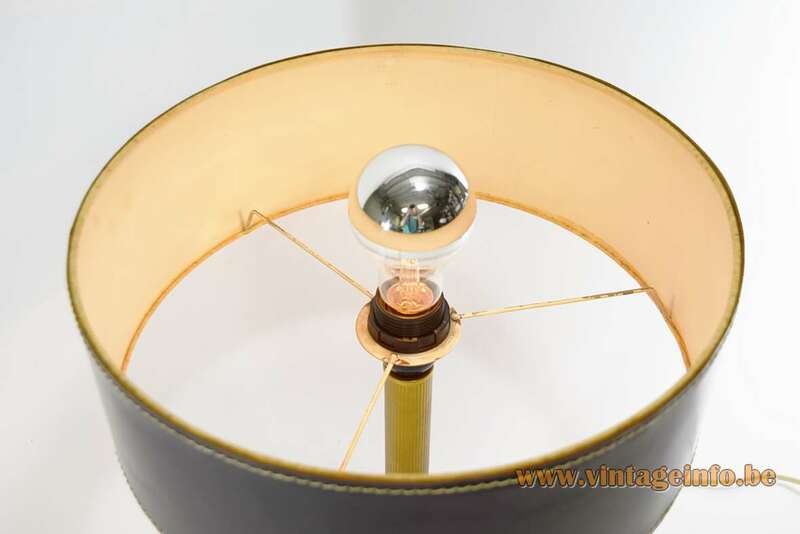 Also produced as a floor lamp. 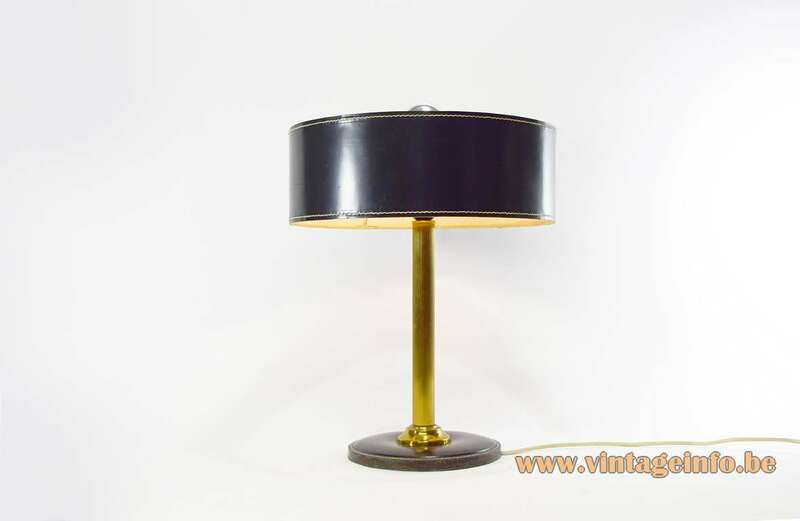 These lamps are most of the time attributed to Jacques Adnet, France, but they are not buy his hand. Sometimes attributed to Hermès (France) or Delvaux (Belgium). Delvaux and Hermès have made leather desk lamps, but they are different and they have always the trademark of the company pressed in the leather. 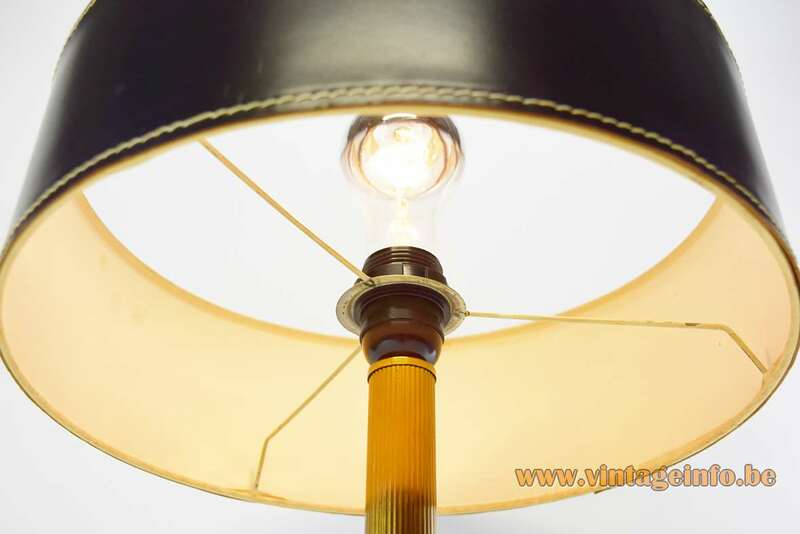 The leather lamp from Jacques Adnet is also different than this one. 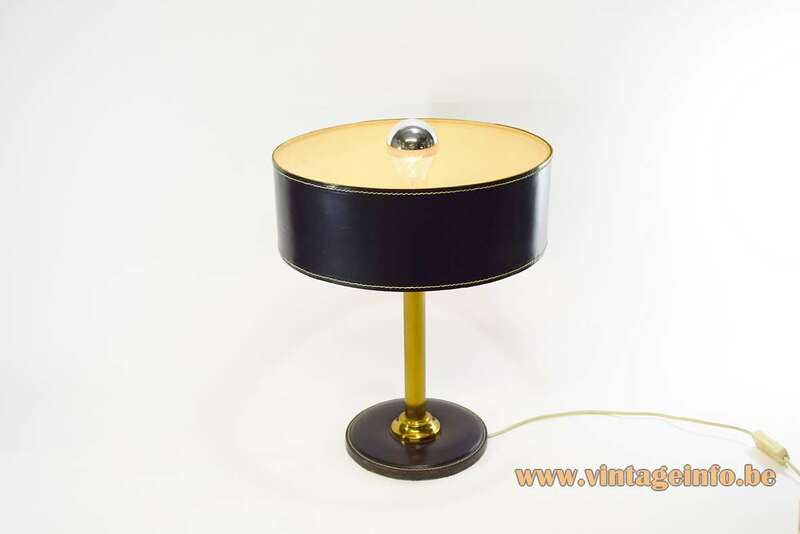 These table lamps were made for many years, at least since the 1950s and probably produced by different companies. This one is made in the early 1980s, it has its original wiring, switch and plug from that period. In Anderlecht, near Brussels in Belgium the company ILG, International Leather & Gift s.a. produced or sold these lamps from 1997 until 2017. They only sold the office supplies you see below in brown and green, according to their website. The website is offline. The company ended business in October 2017. It was located at www.ilg-leather.com. 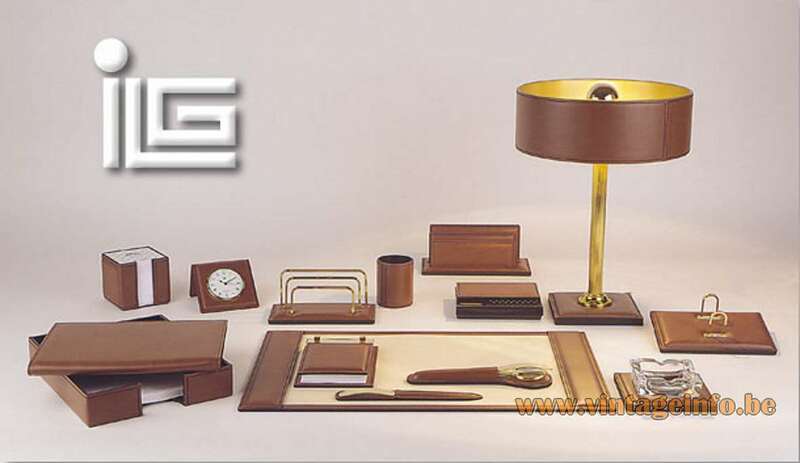 The lamps of the ILG company were always marked on the bottom of the base: ILG Genuine Leather, Made in Belgium.